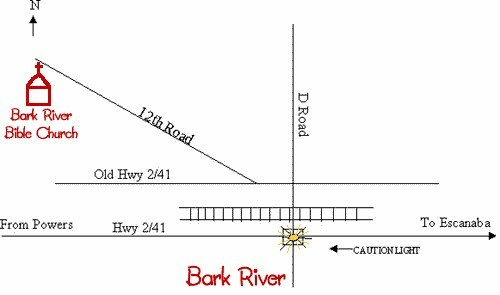 When coming into Bark River, turn north at the caution light. Go over the tracks and take an immediate left. Go straight approximately 75 feet, and at the fork in the road keep right. Go up the hill and the church is on the left hand side at the top.